Her Excellency Maria Lohela is the Speaker of Parliament of Finland. She has served as a Member of Parliament for Finland Proper since 2011. After having maintained her seat in the 2015 election, Lohela became Speaker of the Parliament in May 2015. She is one of the youngest MPs in the country ever to hold that office. 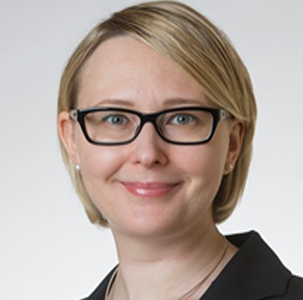 She was also the first Vice Chair of the Finns Party parliamentary group, from 2014 to 2015. Ms. Lohela took her Bachelor of Arts degree (Linguistics) from the University of Turku, majoring in English. She has also served as a member of the Turku city council between 2009 and 2012.